I gave you a grade of B. I think you have done a good job representing us, and I hope you continue to take a stand on behalf of your constituents. Thank you. 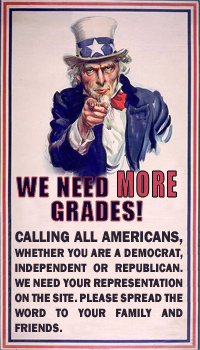 I gave you a grade of B.
I gave you a grade of A. I'm very pleased with the stand you have taken on issues I care about.